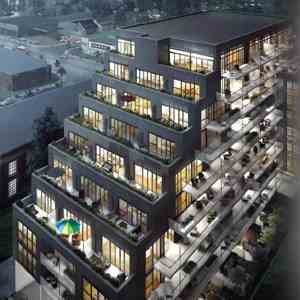 Canvas Condominium Coming Soon to Danforth Village. Marlin Spring pushes the envelope with urban-savvy CANVAS Condominiums, located at 2301-2315 Danforth Avenue in Danforth Village — one of Toronto’s most vibrant neighbourhoods. In a city where connectivity is king, this address delivers in spades: Woodbine and Main Street subway stations on the Bloor Danforth line and the Main Street GO Bus Station are mere steps away. As the area buzzes with future commercial development, Marlin Spring has already submitted a proposal for an 8-storey condominium with ground floor retail. Design forward, connected, destined to be sought-after. Check, check and check. Be close to everything - except the status quo. 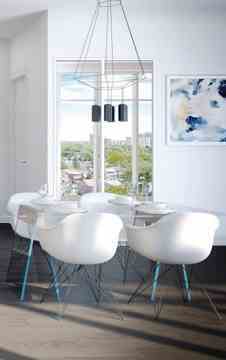 Living here in Danforth Village, restaurants and shops are right outside your door; Greektown is just down the street. The beach and Don Valley Parklands trails are mere minutes away. 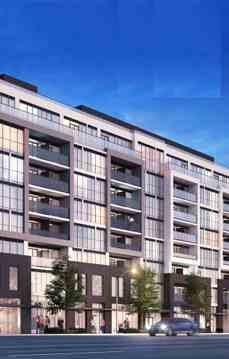 Live here, go anywhere in the city: walk 5 minutes to the Woodbine or Main Subway Station or the Danforth GO Station. From here, you can go east, west, north or be downtown in just minutes. Ceiling Height: From 8'6" to 13'0"